SGA President Kenon Brinkley sits during Wednesday's SGA meeting. 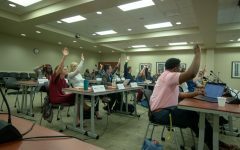 With student fee deliberations only weeks away, Student Government Association approved legislation that will bring major changes to the process. 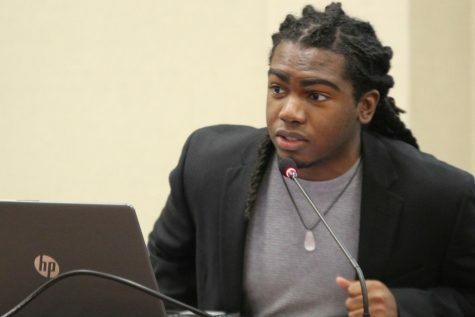 At its Wednesday meeting, SGA passed a student fee reform bill that would combine the Student Fees and Educational Opportunity Fund (EOF) committees into one. If signed by Vice President of Student Affairs Teri Hall, the bill would also potentially increase the number of student representatives involved in the student fees process. 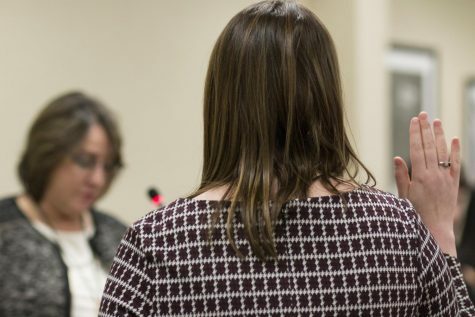 The Student Fees Committee is responsible for hearing budget recommendations from organizations funded by student fees every year, as well as making their own recommendations to the Student Senate. If passed by the senate, recommendations are then sent to the university president for final approval. 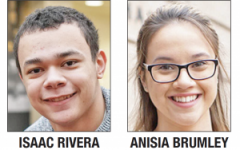 In years past, a separate committee was responsible for deliberating over the Educational Opportunity Fund, which is a fixed-line item in the student fees budget. 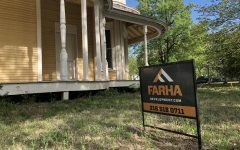 The fund is primarily used to provide financial assistance to students by supporting programs that offer scholarships, need-based grants, or salaries for those working in service programs. 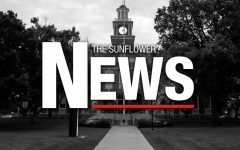 Under the bill passed Wednesday by SGA, the Student Fees Committee would take on the EOF committee’s responsibilities, as well as one of its members — the director of finance. 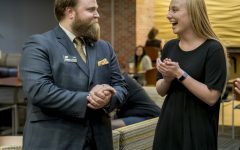 The Legislative Journal, which acts as a constitution for SGA, currently outlines the Student Fees Committee to include the vice president of student affairs, vice president for finance and administration, and SGA’s president and treasurer. 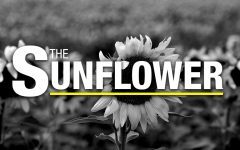 Under current bylaws, four seats are reserved on the committee for student representatives nominated by the student body president and approved by the senate. Instead of four student representatives on the committee, the bill proposes one representative from each of the 13 Student Senate voting blocks, which correspond to fields of study such as business and fine arts. Also recommended in the bill is a significant change to the Student Senate’s level of input on the overall budget. 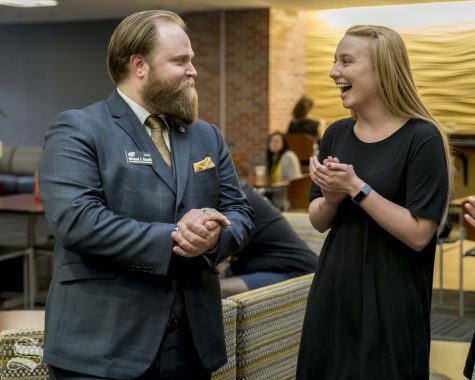 Previously, senators could vote to change funding allocation for non-fixed line items once the overall budget was brought to the Student Senate for approval. The new legislation allows senators to only vote “yes” or “no” on the overall budget and not to delve into specific items. 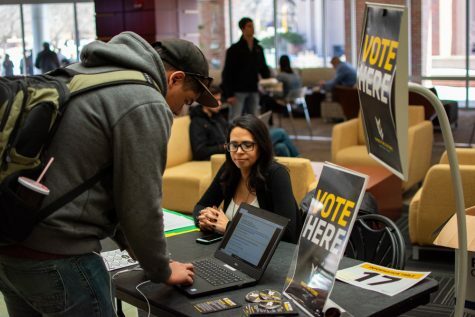 Business Senator Anisia Brumley said she felt the old system of voting on non-fixed line items was “counter-productive,” and the changes would prevent the Student Senate from doing the same work as the committee. The journal calls for the associate vice president of finance and administration to serve as an ex-oficio, non-voting member of the committee. 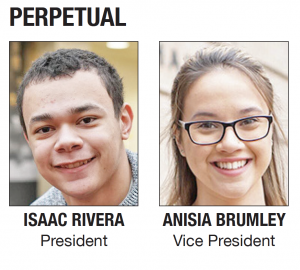 Under the recently passed legislation, the student body president and all non-students on the Student Fees Committee would be ex-officio, non-voting members. The student body vice president would serve on the committee as a tie-breaker under the bill. Once formed, the Student Fees Committee will host open hearings over two days, followed by one day of deliberation. The hearings will take place from 1 to 5 p.m. on Feb. 13 and 14. Deliberations will follow on Feb. 15. 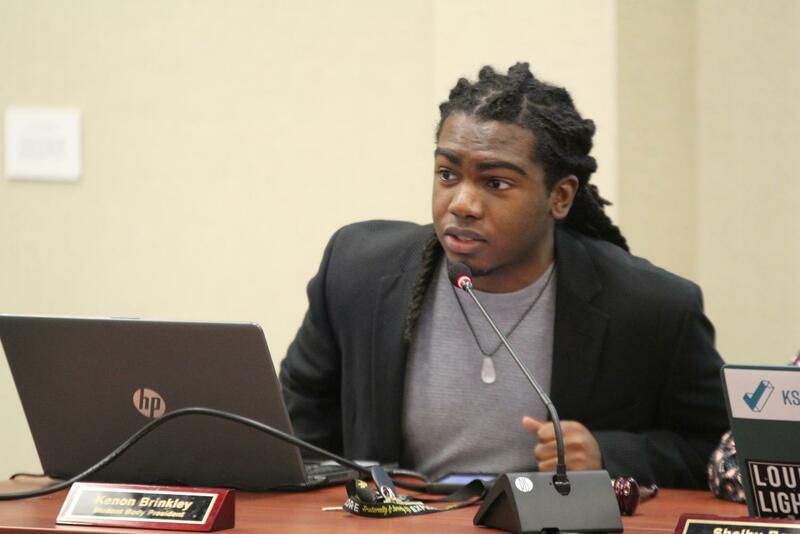 Student Body President Kenon Brinkley will host a livestream from SGA’s official Facebook page at 4 p.m. on Jan. 24. 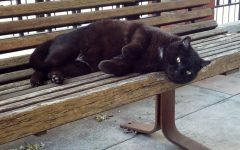 He said the livestream will primarily focus on fielding questions about the student fees process from students. Applications for Student Fees Committee positions will open Thursday on the Student Government Association website.